This week, IVVA along with the Independent British Vape Trade Association (IBVTA) wrote a letter to Ryanair regarding the changes to their cabin baggage policy. The wording of the policy change would have meant that vapers travelling on a Ryanair flight would not be permitted to bring their device with them in their cabin baggage. The report also outraged a group of scientists and anti-smoking campaigners, Professor Polosa of the University of Catania, Dr Russell from the Centre for Substance Use Research, Dr Nitzkin, Chair of the Tobacco Control Task Force of the American Association of Public Health Physicians, and Professor Konstantinos, research fellow at the Onassis Cardiac Surgery Center in Athens, Greece. This lead them to the unusual step of releasing a paper analysing the report – with some shocking conclusions. The first surgeon general’s report on e-cigarettes, published last December, could have highlighted the enormous harm-reducing potential of products that simulate smoking but do not contain tobacco or burn anything. Instead Surgeon General Vivek Murthy sounded the alarm about adolescent vaping, which he called “a major public health concern.” A critique of Murthy’s report, published online yesterday by Harm Reduction Journal, shows how dangerously misguided his concerns were. Do smokers quit after hospital trials? Do smokers lie about quitting? A new study analyzes smokers’ self-reports of their smoking habits six months after their participation in quit-smoking clinical trials. Several years ago, researchers recruited sick smokers at a group of hospitals—the Consortium of Hospitals Advancing Research on Tobacco, or “CHART”—and conducted federally supported smoking cessation trials. Taneisha Scheuermann and colleagues, writing in the journal Addiction, examine the post-trial results, focusing on levels of cotinine, a nicotine-breakdown product, in trial participants’ saliva. The backlash against “evidence-based policy” turns out to have been unnecessary: the fad was over before it started. This is hardly surprising, considering very few politicians who drop the phrase into their stump speeches can explain what it means. While the phrase still finds its way into the odd government press release, it turns out that, in practice, it means just what politicians usually mean when they refer to “evidence”: selective data that supports one’s preferred policies and ignores data that doesn’t. Getting information out of government agencies is like pulling teeth at the best of times, but more often than not it can feel like an unending struggle against willful obstructionism marinated with incompetence. That’s certainly been the experience of Jeff Stier, a senior fellow at the National Center for Public Policy Research. The Food and Drug Administration (FDA) is expanding its “The Real Cost” public education campaign to include electronic cigarettes and other electronic nicotine delivery systems (ENDS). The new messaging will be part of the FDA’s youth initiative this fall and the agency is developing a full-scale campaign to launch in 2018. According to the FDA, the efforts are part of its new comprehensive plan for tobacco and nicotine regulation, as well as ongoing efforts to educate youth about, and protect them from, the dangers associated with using all tobacco products. Rajasthan health minister Kali Charan Saraf said the government is in the process of banning e-cigarettes and also considering issuing licences to tobacco vendors. Saraf was addressing a state level seminar on ‘Tobacco-Free Rajasthan’ organised by Vaagdhara, an NGO, in a city hotel on Thursday. In advance of its secret meeting in India in November, the WHO has published its thoughts on e-cigarettes. I was surprised to see my name in the references but even more surprised to see people on social media describing the WHO’s position as ‘supportive’ of vaping yesterday. That’s not how I read it. Their main statement is below. 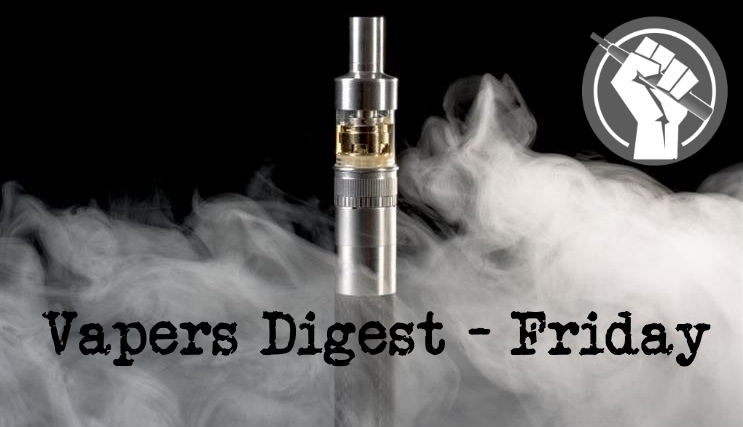 Note that they have decided that calling e-cigarettes ‘electronic nicotine delivery systems’ is not clumsy enough so they have added ‘electronic non-nicotine delivery systems’. Eat, Drink, Smoke, Vape takes place at Nuvo, Birmingham’s premier cocktail bar, on Monday October 3 from 21:00-23:00. Poland will ban the sale of popular e-cigarettes to minors and their use in public spaces under a law that comes into effect on Thursday. Adopted by parliament in July, the new measures put e-cigarettes on a par with their traditional tobacco-based counterparts, making it illegal to sell them to anyone under 18 years of age or “vape” anywhere that smoking is banned.